Having recently completed the first part of his gas foundation training course, Shaun Mellious of Croydon, South London explains the reasons behind his decision to up-skill and train to obtain his gas qualifications. Because of his practical background and existing plumbing skills Shaun was a great candidate to join the Gas Foundation for Plumbers training course. The gas course itself is split into three stages.. Stage 1 involves foundation gas training and is consists of centre led training that involves theory and practical work with a small group of people that are in the same point in point of their career development. Stage 2 requires the trainee to build his or her on-site experience by creating a portfolio of evidence under the supervision of a registered gas engineer ‘in the real world’. This experience is an essential part of the trainees development, it builds confidence, experience and underpins critical gas safety knowledge. Stage 3 requires the trainee to return for Initial ACS Assessment. The trainee can only return to the gas training centre upon the completion of a suitable portfolio of evidence. 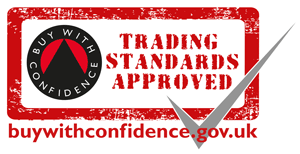 If the trainee is successful in attaining ACS qualifications they are then able to apply for memebership of the Gas Safe Register or may decide to work for a Gas Safe Registered business as an approved operative. If you’re like Shaun and you have transferable skills that will allow you to up-skill and practice as a gas engineer then you are welcome to call us free today to find out how we can help you achieve your goal or see gas training course information.